Porsche Design 1919 Datetimer One Millionth 911 watch. 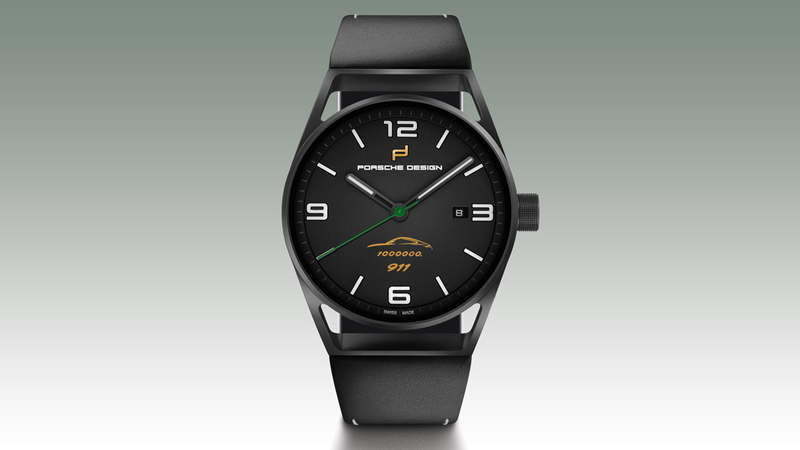 We have been a big fan of the Porsche Design watches since the early 1980’s when we first discovered them. Since then, the brand has grown by leaps and bounds. Back then, the watches were made for Porsche Design by IWC, but today, the brand is fully in charge of its timepieces — and doing a smashing job. Not only did Porsche Design unveil the exciting Monobloc Actuator watch last year, along with the ability to customize one’s own Porsche Design watch, but also it has just unveiled the Porsche Design1919 Datetimer One Millionth 911 watch. Celebrating the 1919 collection, Porsche Design takes its inspiration for this line from the power and panache of the legendary Porsche 911, which was conceived of by Porsche Design’s founder, Ferdinand Alexander Porsche, in 1963. While the other collections unveiled last year focused on sport and function, this newest series follows key design aesthetics for which this brand is known. Elegance and style play a nice role here. Porsche Design 1919 Datetimer One Millionth 911 watch is made in honor of the millionth 911 car that was made in spring 2017. Following the design creed established by F.A. Porsche — “Good design should be honest” — Porsche Design’s 1919 collection is about achieving form through function. As such the new timepiece is crafted in super light-weight and highly durable titanium with an integrated strap. The dial is created to offer maximum legibility, including Arabic numerals and indices with SuperLumiNova coating and a scratch-resistant sapphire crystal that is coated with seven layers of anti-reflective material on both sides to prevent glare. The Porsche Design 1919 Collection has several different models in it, but the one we love is the 1919 Datetimer One Millionth 911 watch. Created to celebrate the anniversary of the millionth 911 car that rolled off the line in spring of 2017, the new 42mm 1919 Datetimer One Millionth 911 watch features a date function in addition to the hours and minutes. 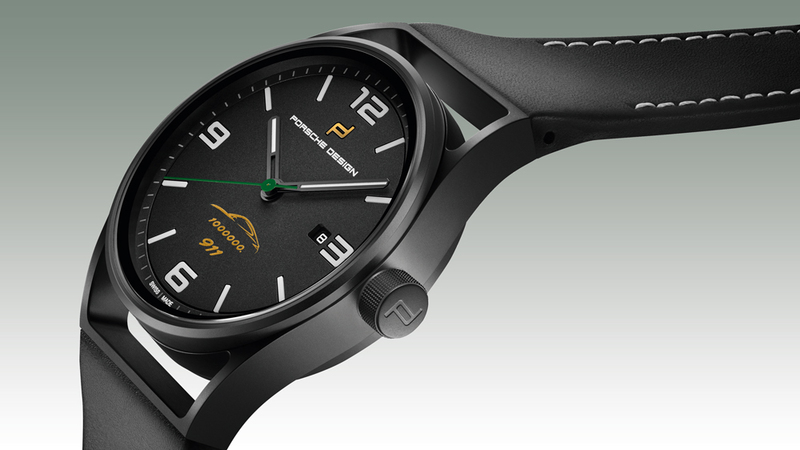 Porsche Design 1919 Datetimer One Millionth 911 watch is crafted in light-weight black titanium. The watch houses a Swiss automatic movement equipped with the exclusive, energy-optimzed Porsche Design Icon rotor with titanium carbide coating. 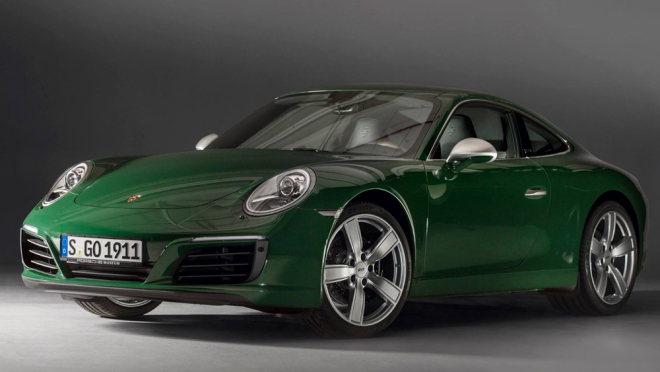 In honor of the car, the Porsche Design 1919 Datetimer One Millionth 911 watch features an Irish Green seconds hand that exactly matches the car’s body paint. The Porsche design crest reflects the gilded Porsche coat-of-arms found on the front of the vehicle. There is even a silhouette of a 911 and the numbering “1000000 911” to honor the anniversary. The strap is crafted from the same leather used for the car seats. Just 130 pieces will be built of this watch for worldwide consumption (just 20 will be available in the USA). It retails for $4,200 and is sold only in Porsche Design boutiques. Our Impressions: For Porsche lovers, the anniversary watch makes a nice weekend wear timepiece. We love the black and green color combination that is vintage and modern at the same time. The size of the watch and the black titanium make it both sleek and wearable — so when you park the car to go inside for lunch, you still make a statement.